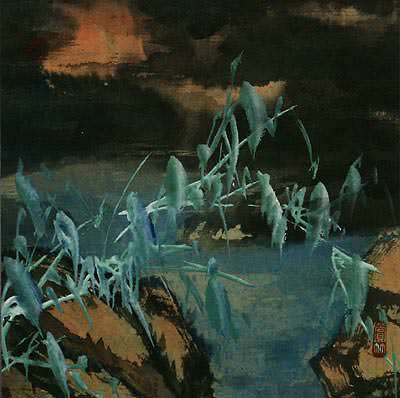 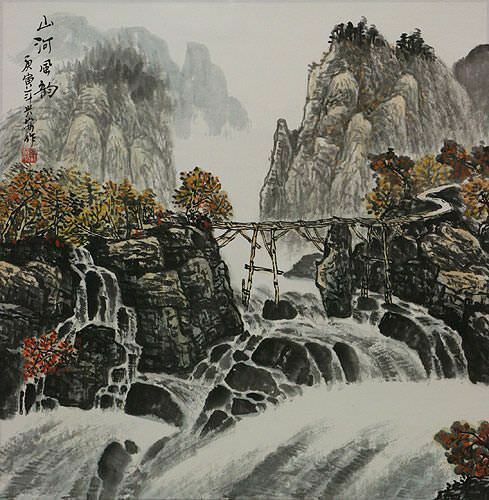 Artwork Panel: 66.6cm x 67.5cm ≈ 26¼" x 26½"
Silk/Brocade Border: 76.6cm x 77.5cm ≈ 30¼" x 30½"
Rapids and a small waterfall flow past a rickety bridge somewhere in southern China. 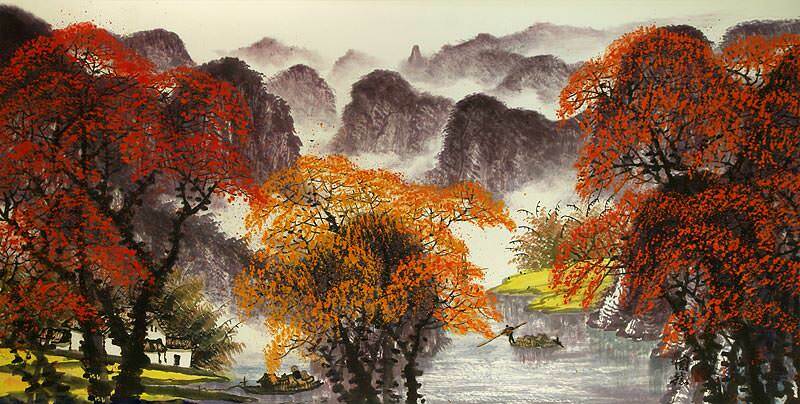 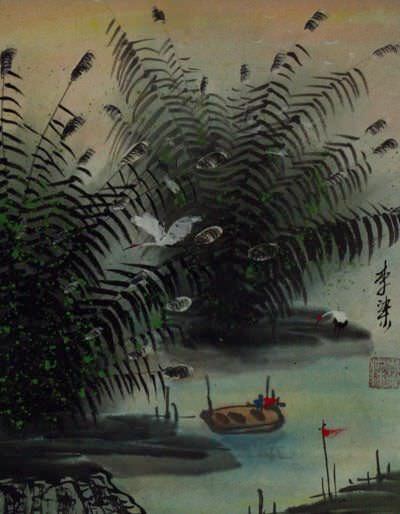 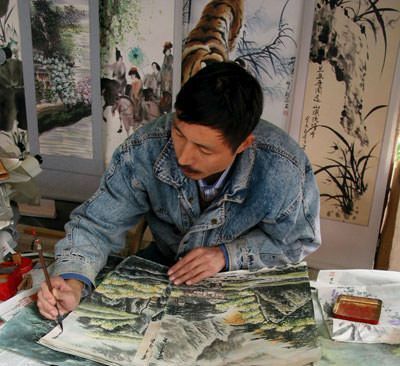 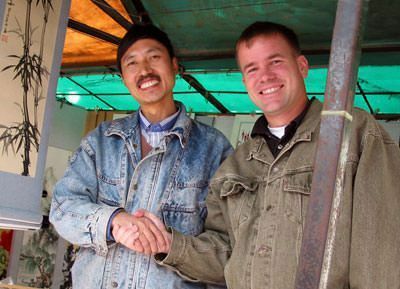 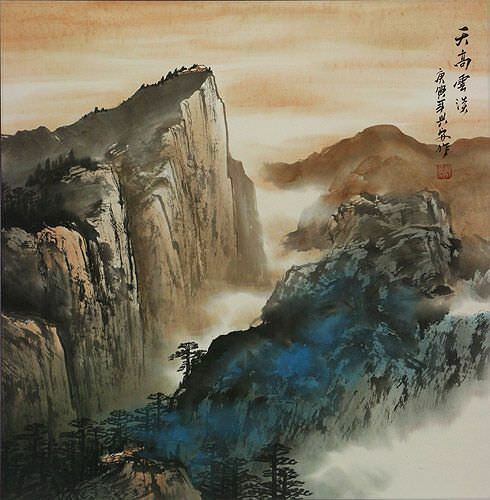 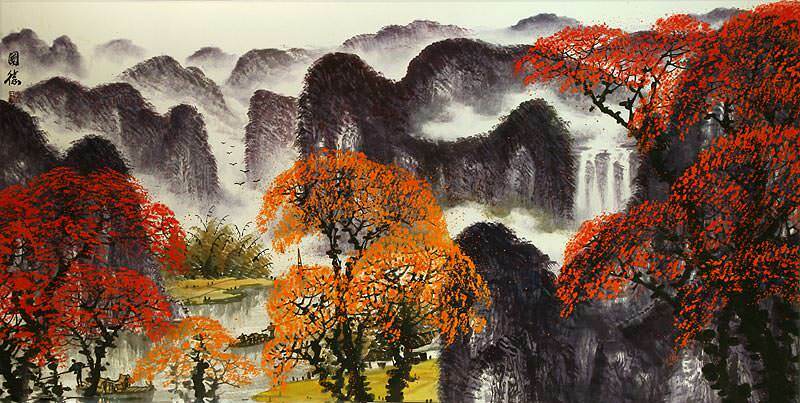 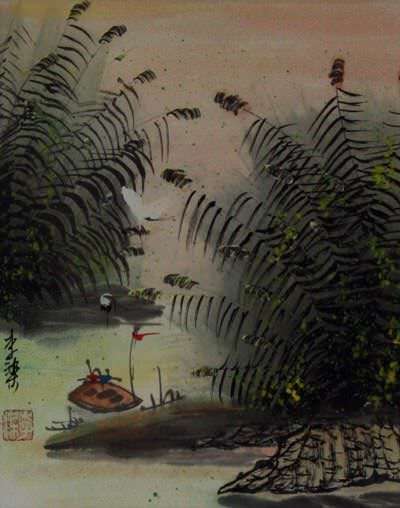 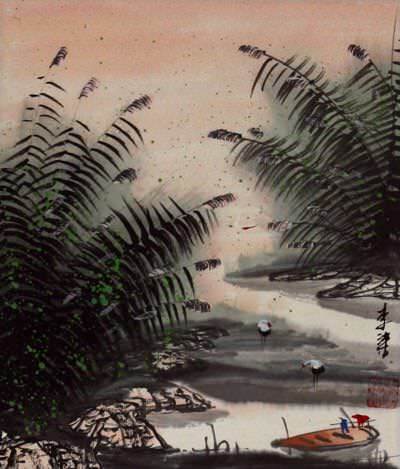 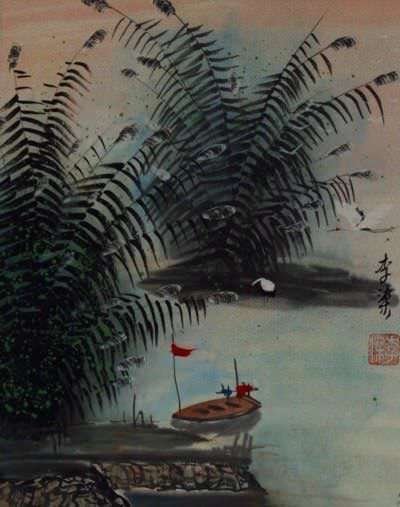 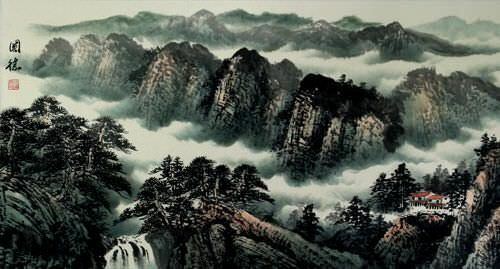 The characters written on this artwork include the title, 山河風韻, which means, "Mountain River Wind Charm" the year painted, 2010, and the artist's name, Huang Xin-An. After I bought this work in Chengdu, I later returned to Beijing and had it mounted with a traditional silk brocade border in our workshop. 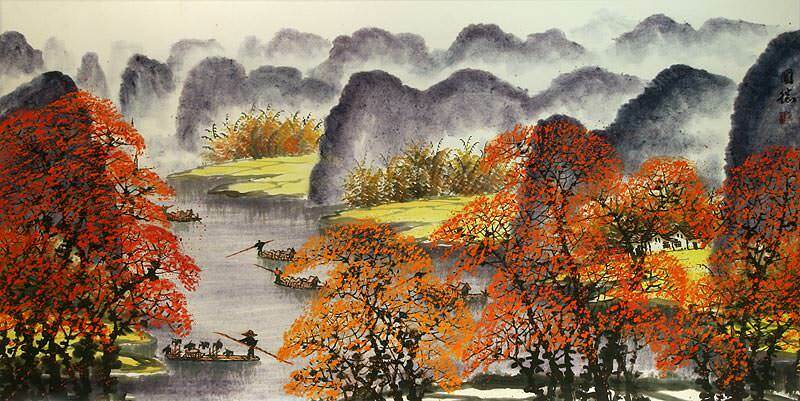 This makes a nice, ready-to-frame piece of wonderful hand-painted art.